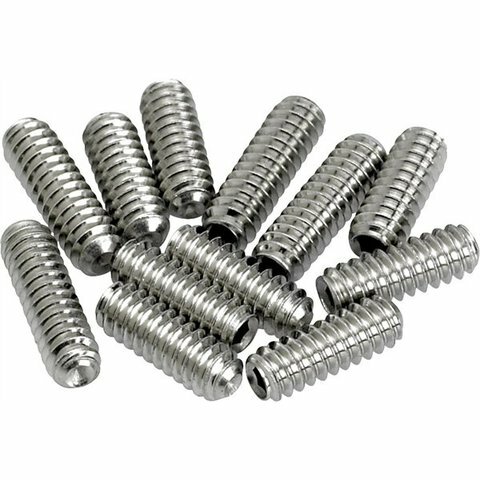 Set of four short (4-40x3/8") and eight long (4-40x5/16") hex set screws used for saddle-height adjustment on American Vintage series Stratocaster and Telecaster bridges. 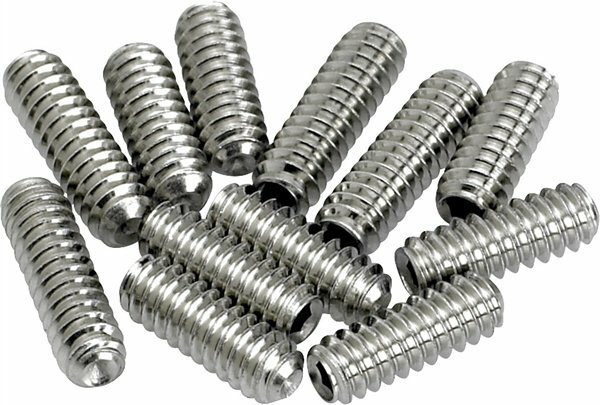 Some of our most requested replacement screws. Made for Fender and used on a variety of vintage and contemporary models. Package contains four 4-40 X 3/8" (short) and eight l4-40 X 5/16" (long) hex set screws used for saddle height adjustment on American Vintage Series Stratocaster and Telecaster bridges.